No matter your level of experience, The Mountaineers has a variety of Outdoor Leadership courses to help you hone the skills you need to be a more effective leader. This one-day leadership seminar is for both current and prospective leaders of Mountaineers trips and activities. This scenario-based seminar covers a wide range of topics - including the good, the bad, and the ugly - and the content is not activity specific. Any and all leaders are encouraged to attend! This course is typically offered by the Olympia, Seattle, Tacoma, and Everett branches a few times per year. The Leadership Conference is a a fun day of professional development dedicated to thanking, inspiring, and empowering The Mountaineers current and aspiring volunteer leaders. The program includes both esteemed outdoor professionals and seasoned leaders from our own community at The Mountaineers. A series of interactive sessions explores the many facets of leadership – from honing our decision-making skills, to pedagogy and better teaching, to the "soft-skills" of facilitating positive group dynamics. The Leadership Conference is an annual event, typically held on the first Saturday in December at the Seattle Program Center. Registration opens mid-September. The Leadership Development Series aims to provide high-quality, continuing education opportunities for our volunteer leaders. The series is offered throughout all of our branches, and the standalone seminars will cover a wide variety of leadership topics. Keep an eye on our calendar of events to know what’s coming-up in your local community! Sessions are planned throughout the organization and will generally be offered from January - June of each year. This evening workshop provides experienced hikers or backpackers information on how to become a hike or backpack leader. The workshop is a prerequisite to becoming an official hike or backpack leader for the Mountaineers (secondary steps are a mentor hike or backpack and committee approval). Past and current hike leaders as well as those interested in becoming a new leader are invited to participate. Hiking trip standards, recommended resources, some outdoor leadership insights, and the mentor leader program are presented in an informal Q&A; format. Course covers an introduction to the website and managing activities online. Quarterly by the Seattle, Foothills, and Tacoma branches. This evening workshop provides experienced snowshoers with information on how to become a snowshoe leader. The workshop is a prerequisite to become an official snowshoe leader for the Seattle and Foothills branches (secondary steps are a mentored snowshoe and committee approval). 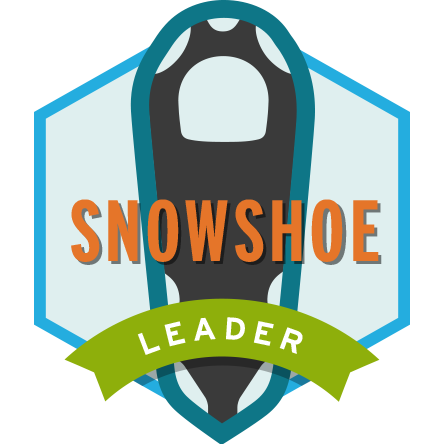 Past and current snowshoe leaders, as well as those interested in becoming a new leader, are invited to participate. Snowshoeing standards, recommended resources, some outdoor leadership insights, and the mentor leader program are presented in an informal Q&A format. This course also covers an introduction to the website and managing activities online. Fall and spring by the Seattle and Foothills branches.